Philip Glass has re-teamed with filmmaker Godfrey Reggio, the new film is titled VISITORS. Here is the trailer. Where's that bottle of sleeping pills and vodka?!?! Where's the shotgun?!?! Cool. I'll be sure to post more on this thread later, since you enjoying visiting so much. Sacrée vache, 908 views! That'll never happen to any Henningmusick. I listened to these when you first posted them, Karl. And Ive only heard one other performance and it was on disc, so with audio aside the performance is very comparable, in fact I enjoy the treatment of the intro from your group over my recorded disc. Thanks, Greg! Paul had worked with those pieces a number of times before the occasion of this concert. Is that you behind the conductor?!?! Never heard of Jeroen Van Veen before I got this recording - hes certainly a very sensitive and accomplished player and I cant find fault with him on this release. The recorded sound is very good - Ideally I would have liked a little more reverb but certainly the Piano sounds excellent. 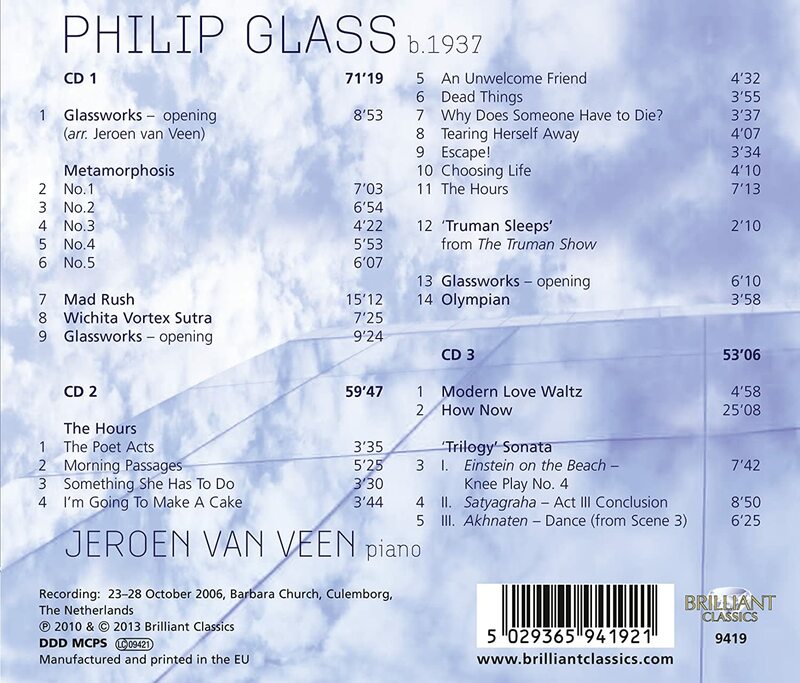 There are a few recordings of Glass's Piano Music available but this one seems to be the most comprehensive. I downloaded the complete set for $10 from ZDigital for anyone whos interested in going that route. Otherwise it costs about $20 US to buy the CD set itself. I'd like to get this, added it to my want list. 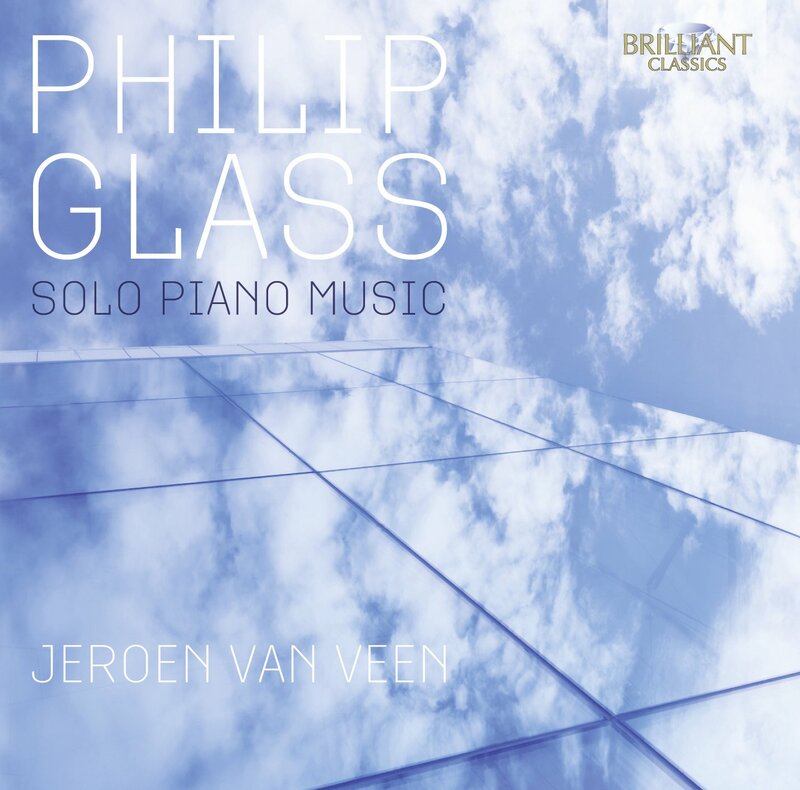 Solo piano seems almost perfect for Glass music. Yes. Unlike many here I like the earlier, not the same as earliest, stuff more. In recent years I find him, ahem, repeating himself, and less interesting. But in the late 70s80s, brilliant. Minimalists en masse but particularly Nyman, Glass, Adams, and to a lesser extent Reich and ten Holt are my faves from the past 40 years. I bought this when it first came out. I hated the first time I heard it, but knew I had to hear it again, just had to. I hated it the second time. I probably hated the first 4 or 5 times. Then it clicked and I've never looked back. my friends and my ex-wife could not believe that I liked this.